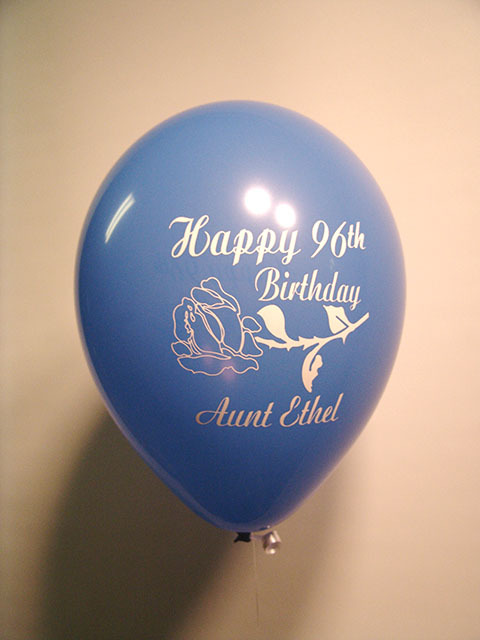 We have custom printed balloons that start with a low 25 minimum. Click Here to start your order. 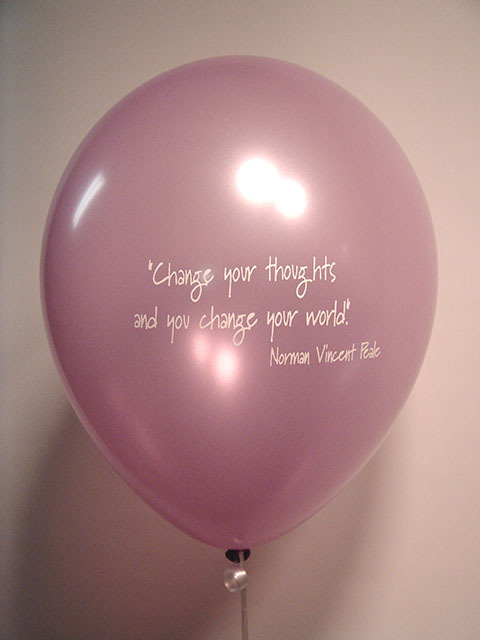 These double sided printed 11″ balloons were fun to print. 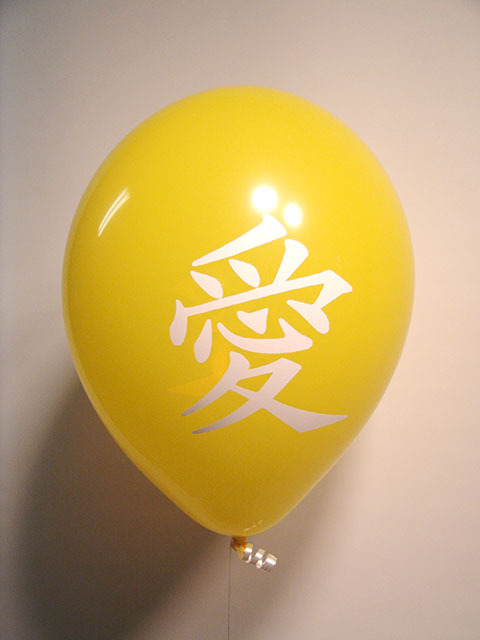 The customer wanted this custom Japanese symbol printed on the balloons. They emailed us the artwork and it was no problem. We can custom print balloons with your loved one’s name for a special release to help bring closure for family in times of loss. 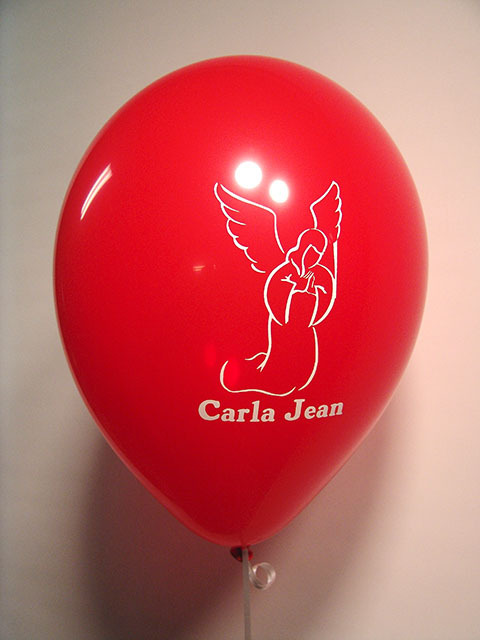 Printing your company logo on balloons is a great way to get fun advertising. Bright colors moving around with your logo on them can’t help but get noticed. Not too many people can brag about making it into their 90’s! What better way to celebrate than with custom printed balloons!